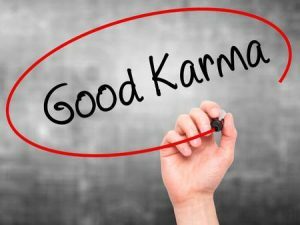 A positive Karma in your business relationships can be easily achieved and maintained by employing a few very simple practices. This can mean the difference between seeing and buying into what is directly in front of you and establishing a long-term strategic objective that has more to do with ethically motivated practices than profitability. We are conditioned by decades of business practice that dictates that the customer is always right and to engage in whatever way they want to meet their end goal. I DISAGREE. If your customer is committed to an action or path that you believe will cause them irreparable harm, it is your responsibility as a partner or vendor to at the very least lay out in detail the potential dangers and outcomes, bring it to their attention in a distinct and thoughtful manner, or extricate yourself altogether, even if it means walking away from a lucrative contract. WHY? Aside from being the right thing to do, when things do fail, and you were the only partner/vendor that voiced concerns or shared the potential danger, not only will your reputation with that client increase, they will turn to you for thought leadership and pro-active process, even going so far as to recommend you to others. Trust is earned, and respect is gained. It is not easy to say no to a strategic partner or customer; but laying out a descriptive list of the reasons for your concerns, offering a suggestion for alternative process that can work to meet their end goals, and walking them through your thought process can help clarify and sometimes even win them over to your school of thought with appreciation and thanks. This should be an essential component of the overall long-term success of your business. Good Karma all around upholds our mission statement to offer an exceptional customer service experience every time bar NONE! Idea Factor provides a full suite of marketing services including B2B lead generation (gathering qualified sales leads), surveys, data mapping, event tele-boosting, trade show follow up, in-bound and out-bound omni-channel call center services, data cleansing, list cleaning, customer retention and loyalty programs. ← WHY AI & Chatbots Make Me CRAZY! WHY AI & Chatbots Make Me CRAZY! Lists! What are they good for?